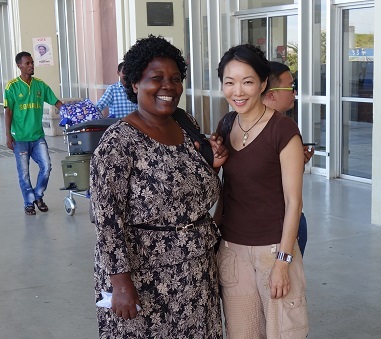 In Garden of the Lost and Abandoned: An Extraordinary Story of One Ordinary Woman and the Children She Saves, author Jessica Yu follows heroic Ugandan journalist, Gladys Kalibbala, who uses her energy, creativity and meager resources to rescue lost and abandoned children. Her column, “Lost and Abandoned,” has drawn attention to the plight of hundreds of forsaken children. Gladys routinely faces many difficult and dangerous situations to help them. Intrigued with Gladys’ life-saving deeds, I began researching more about her life and discovered Jessica Yu’s own multi-faceted story. Not only was she an award-winning director in television, documentaries and films, she’d just written her first book, Garden of the Lost and Abandoned. And, what a compelling changemaker Jessica brings to readers.